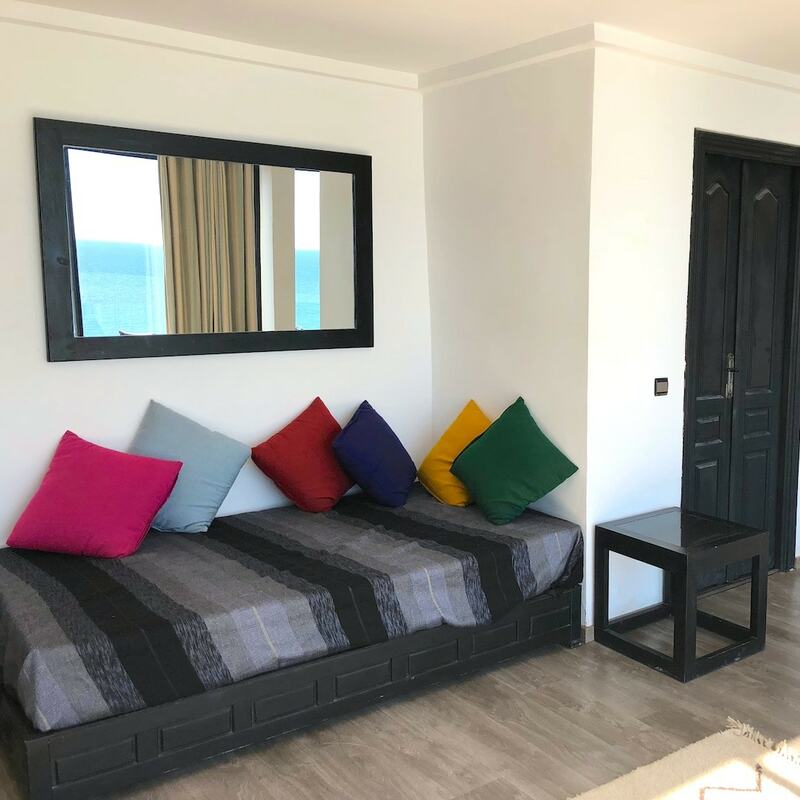 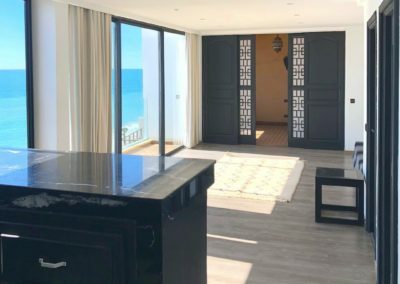 Situated right on the waterfront, just metres away from Hash Point, the Bouad Penthouse is a modern, light, beautiful apartment ideal for a romantic getaway for couples. 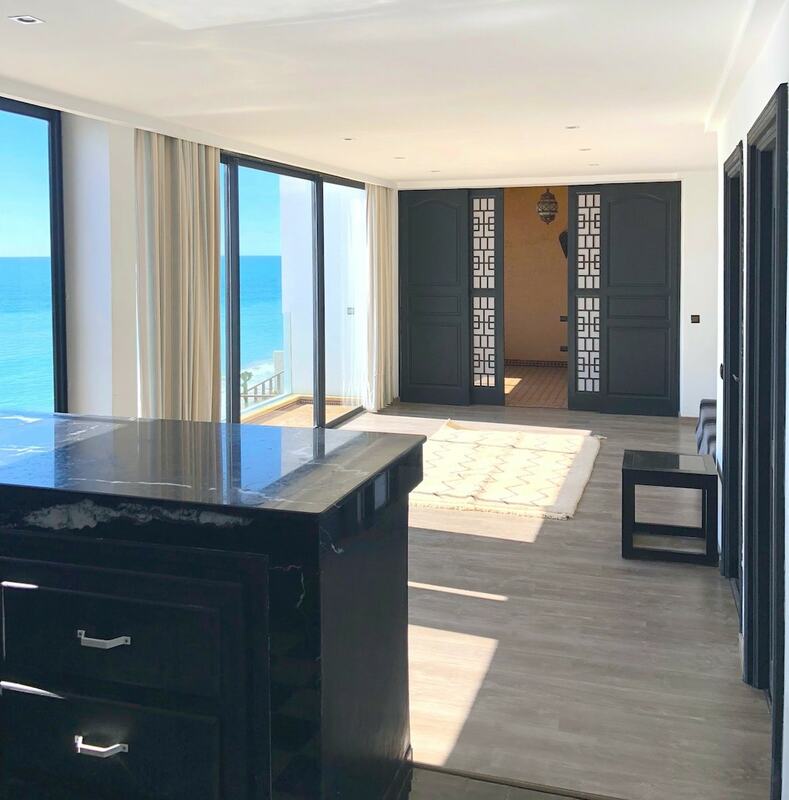 The living room has floor to ceiling unobstructed views of the ocean, and you have access to the roof terrace that has 180 degree views all the way from Panoramas up to Anchor Point. 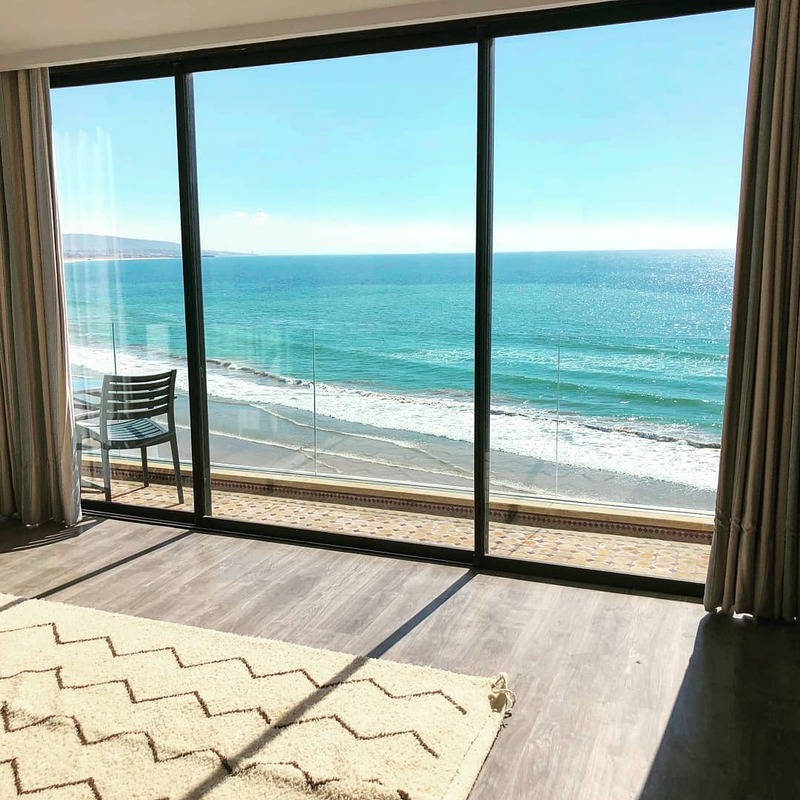 The design is minimalistic, perfect for people wanting to have a stunning floor to ceiling view of the ocean and very little else to clutter up the apartment. 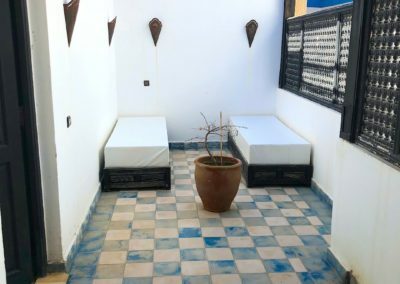 The WIFI extends up on to the roof terrace for anyone wishing to do some work or reading up on the sun loungers and the back terrace provides a perfect respite from the sunshine for those wanting a cooler place to relax and read. 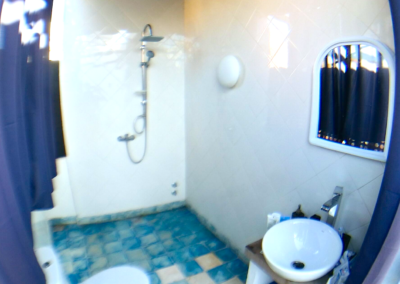 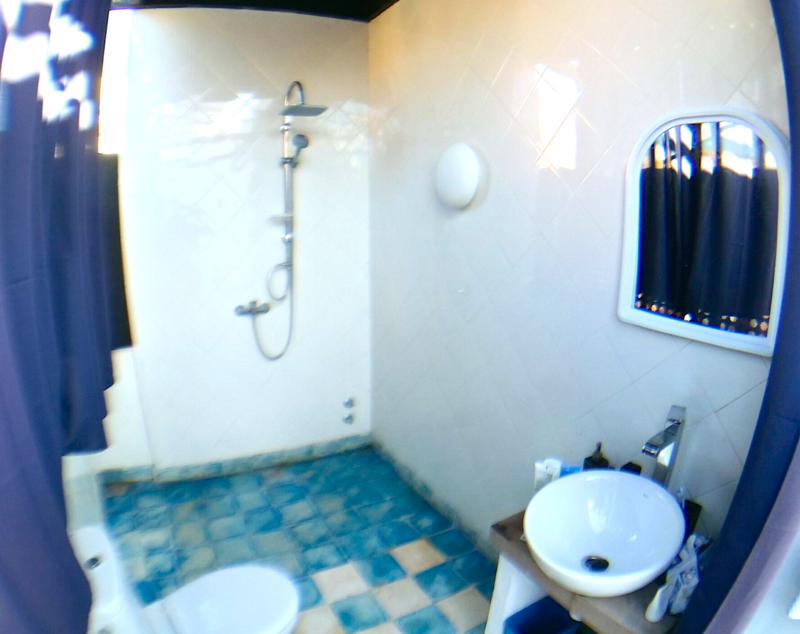 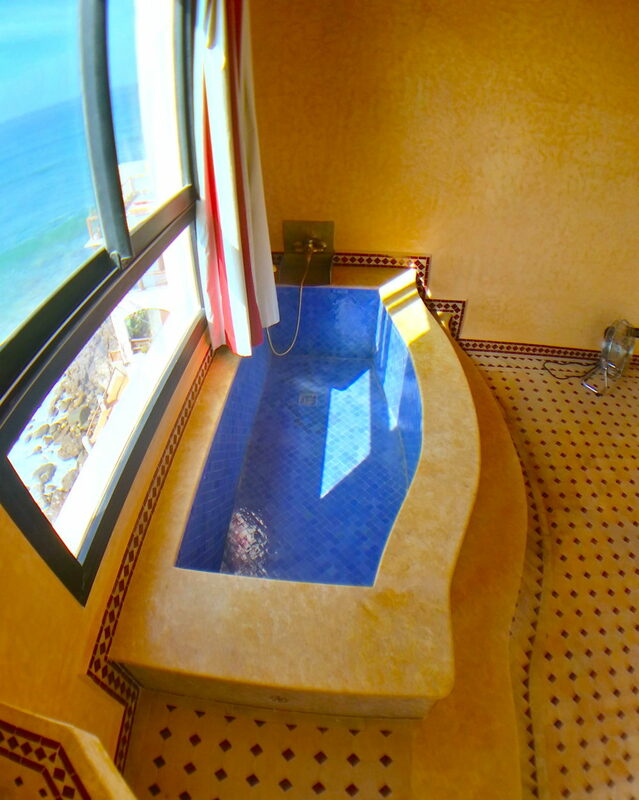 Please note, that the shower and bathroom are open air. 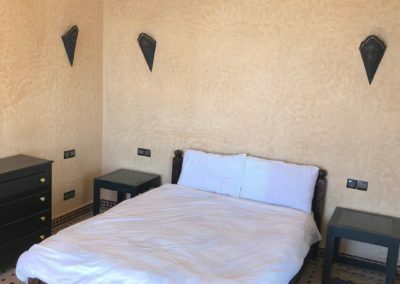 We have put curtains in place to limit the exposure, but whilst some people absolutely love this feature it is not to everyone’s taste. 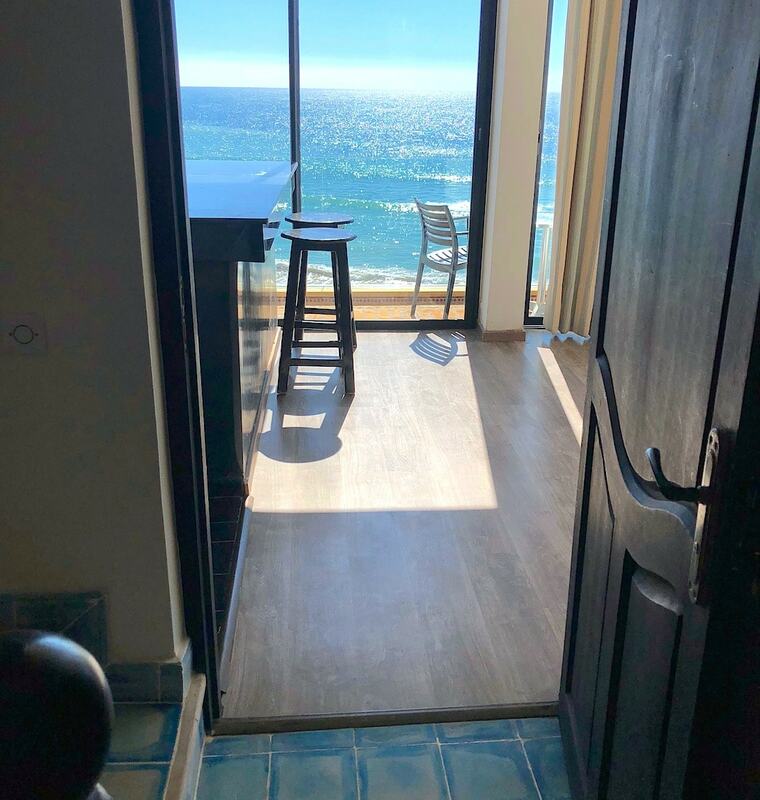 Nothing beats the view that we had during our stay here in Taghazout, by far the BEST apartment that we have been to during our stay here in Morocco. 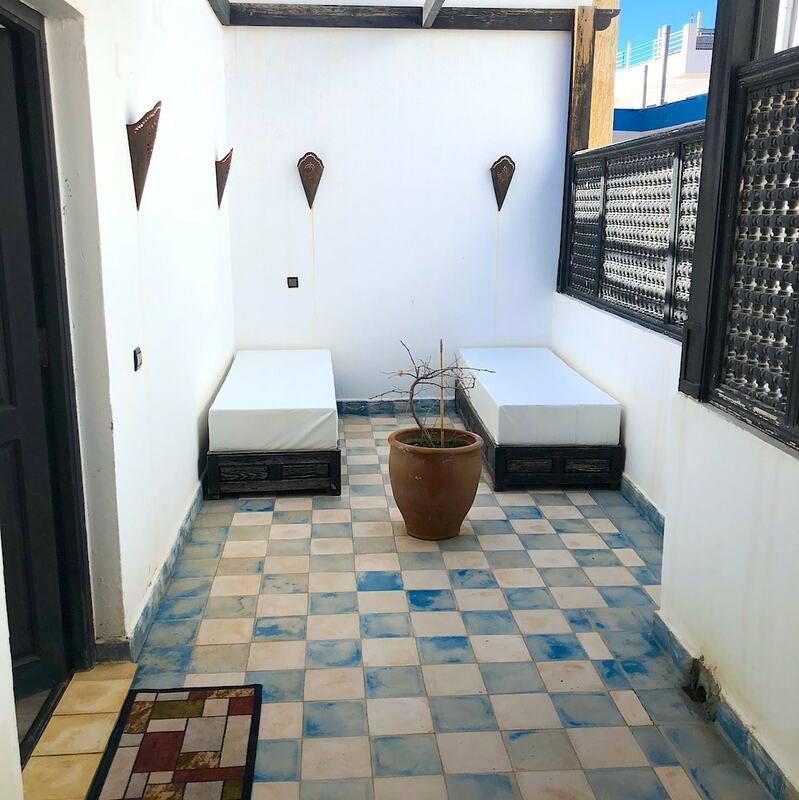 James our host was very attentive and accommodating me and my friend both enjoyed staying at the apartment, the pictures do not do it justice overall it was very clean and tidy and everything was in order as to be expected. 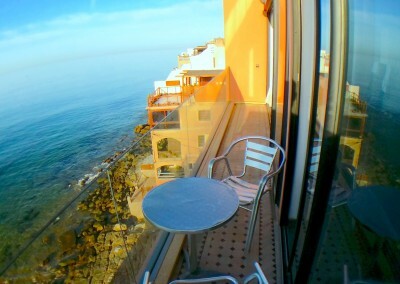 we definantly will be making another stop here in the future. 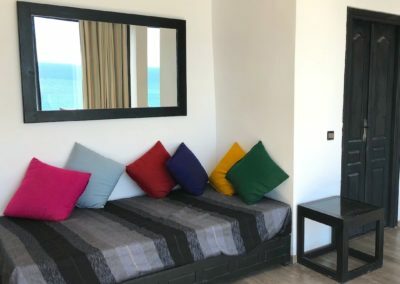 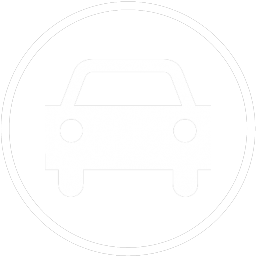 The check in time for our apartments is 2pm, but if you are arriving earlier in the day, sometimes we can get you in before then. 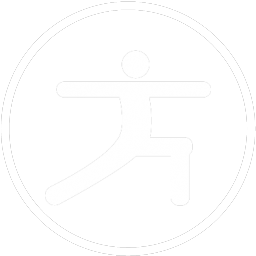 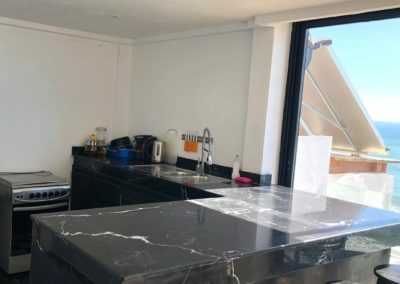 Just get in touch with us in advance and we’ll see if we can help. 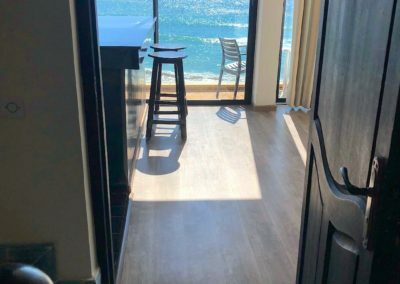 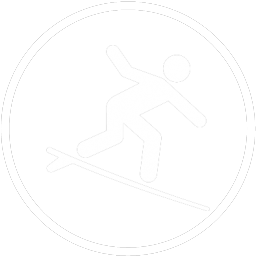 In the worst case scenario, you can leave your baggage in our store room in the office, go and have a surf and come back later in the day to pickup the keys. 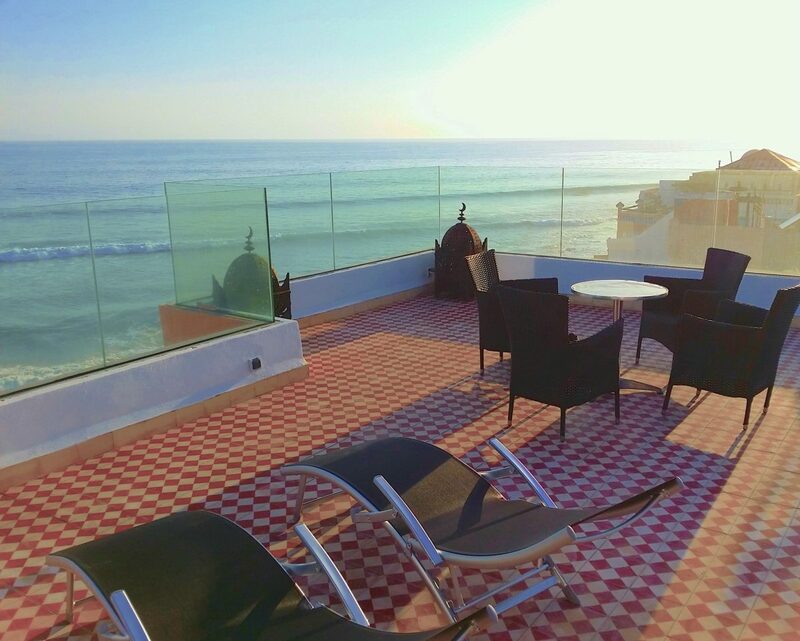 Each apartment has it’s own terrace, but you also have access up to the roof terrace. 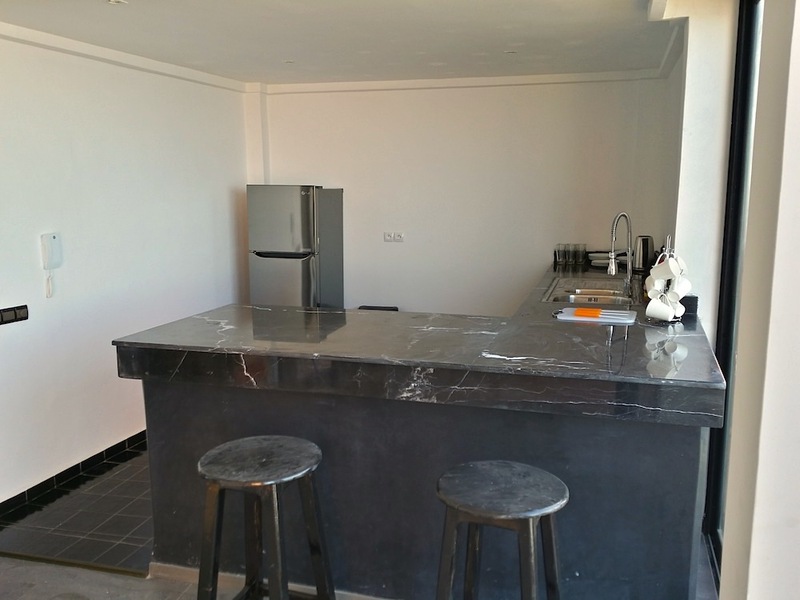 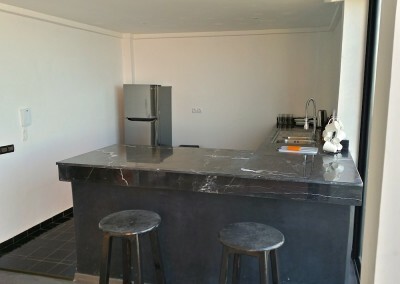 This is a great space with sun loungers, a bar area and a beer fridge (you need to provide the beer…). 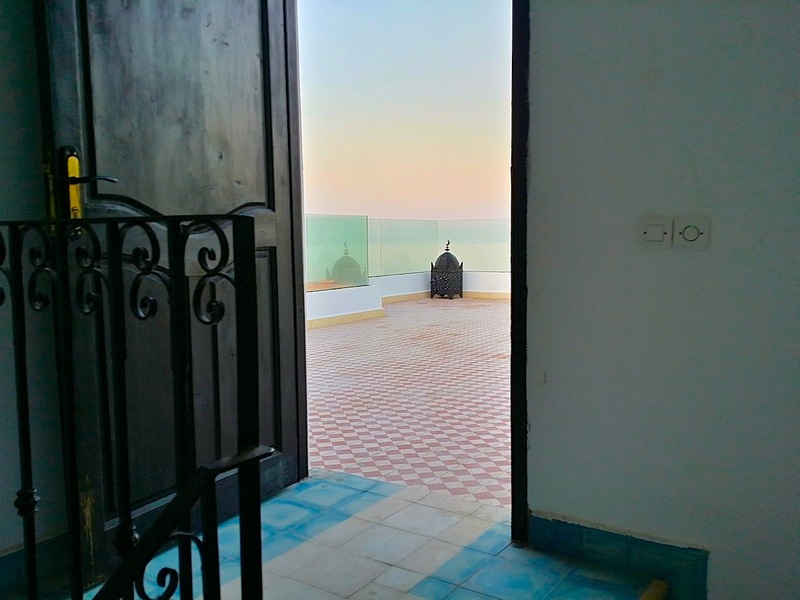 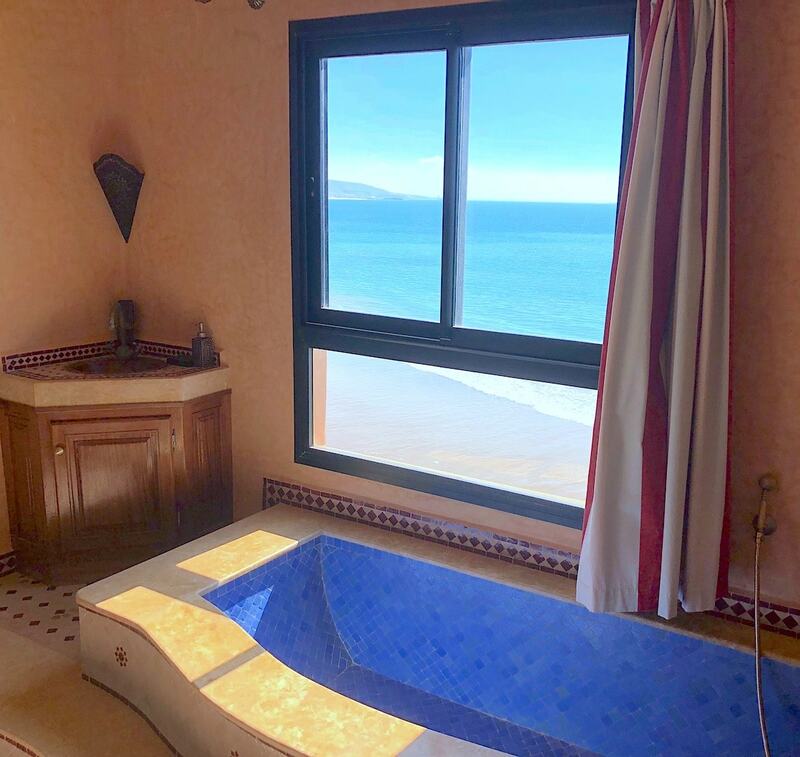 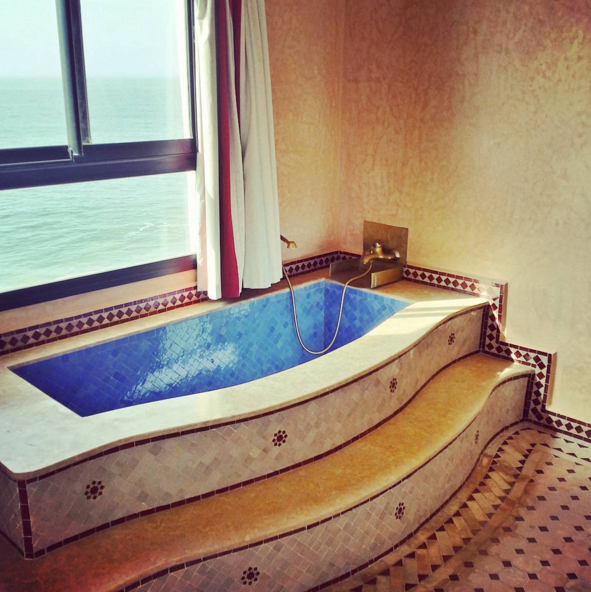 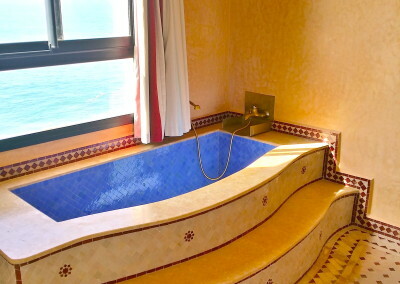 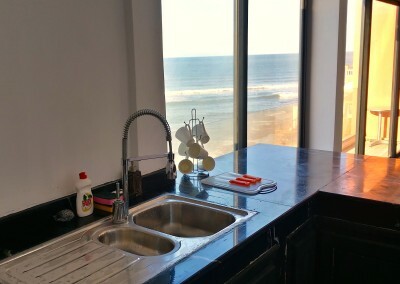 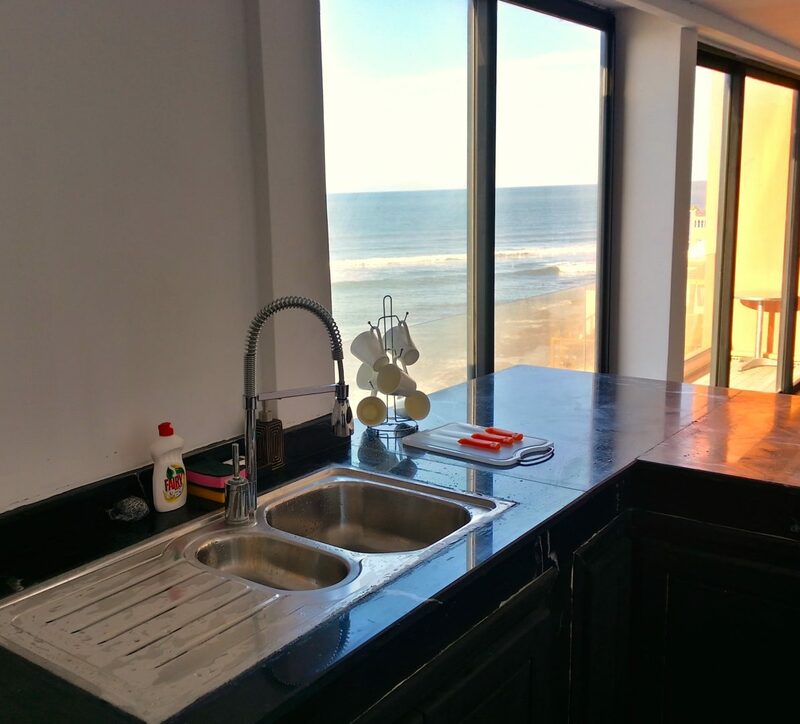 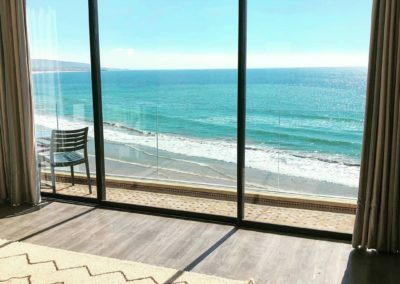 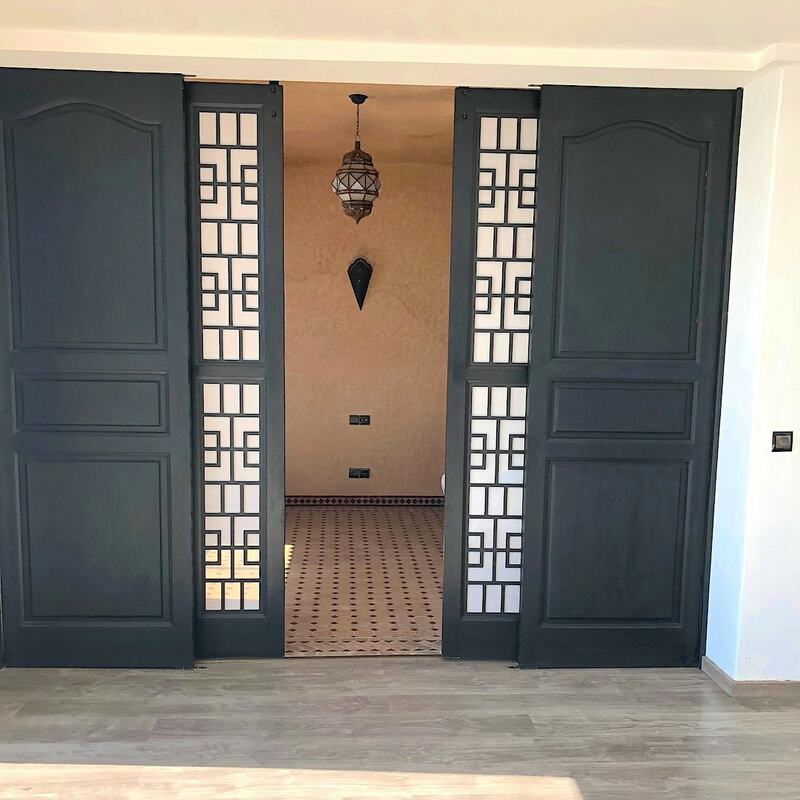 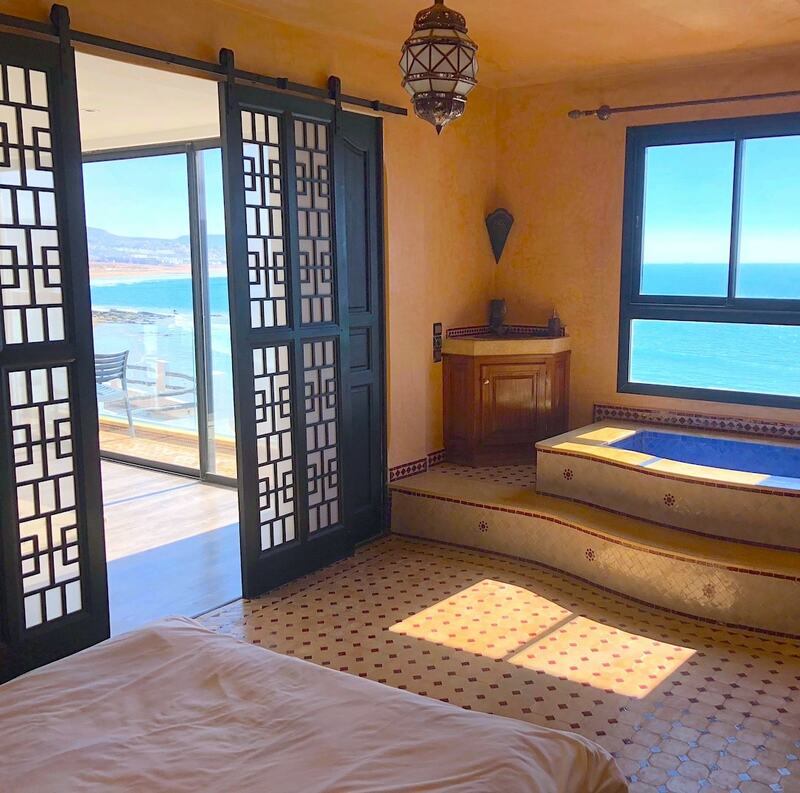 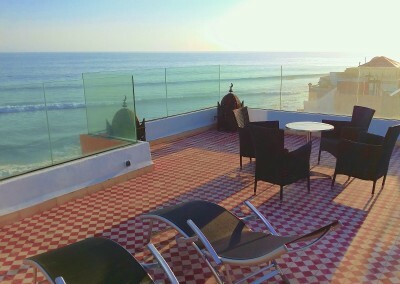 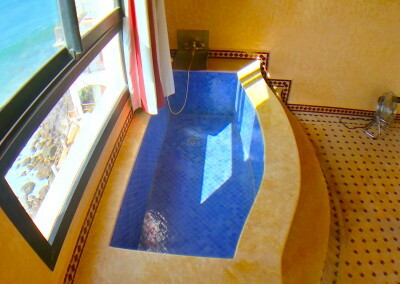 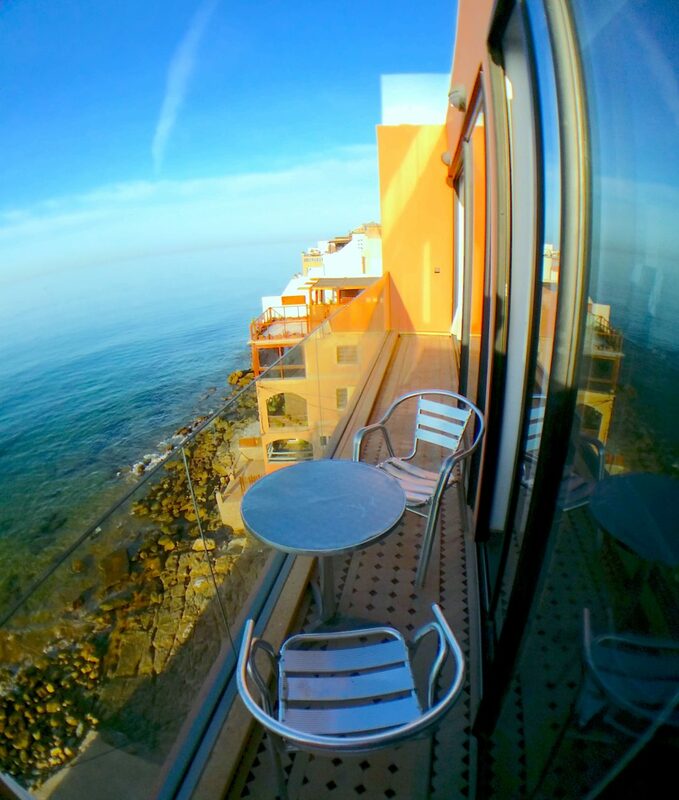 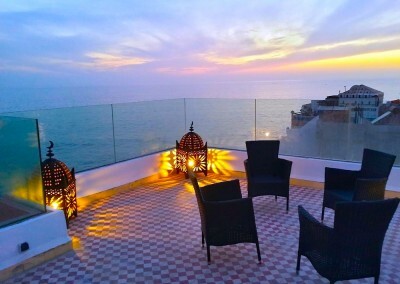 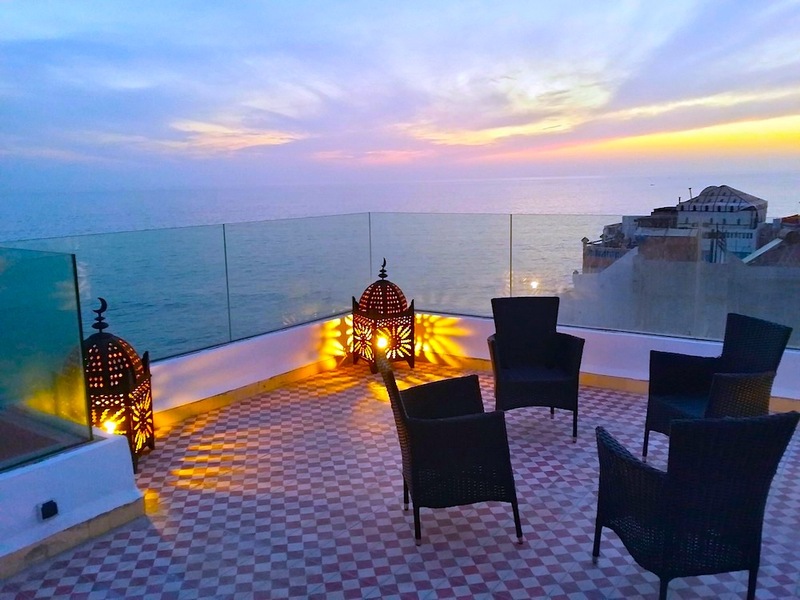 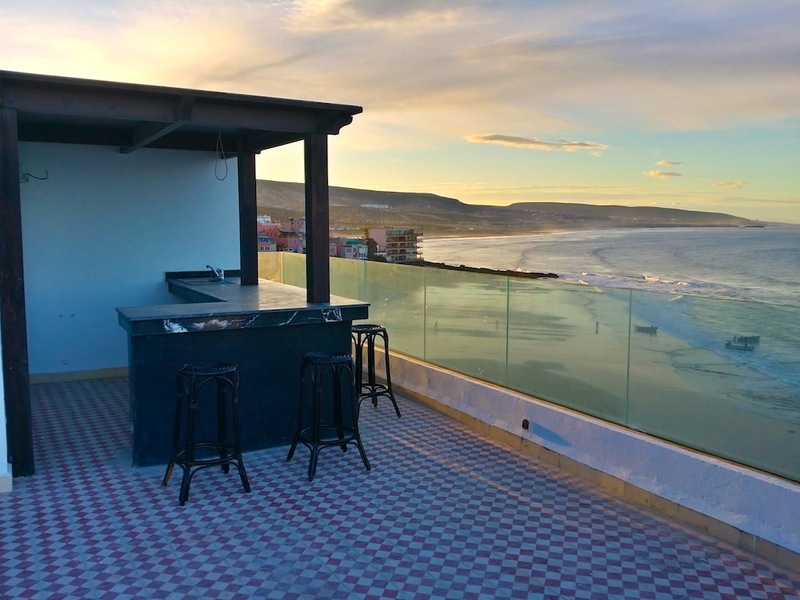 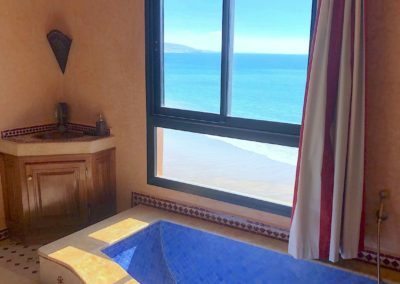 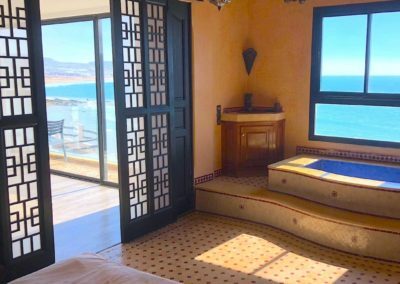 The Bouad Penthouse is in the heart of Taghazout overlooking Hash Point. 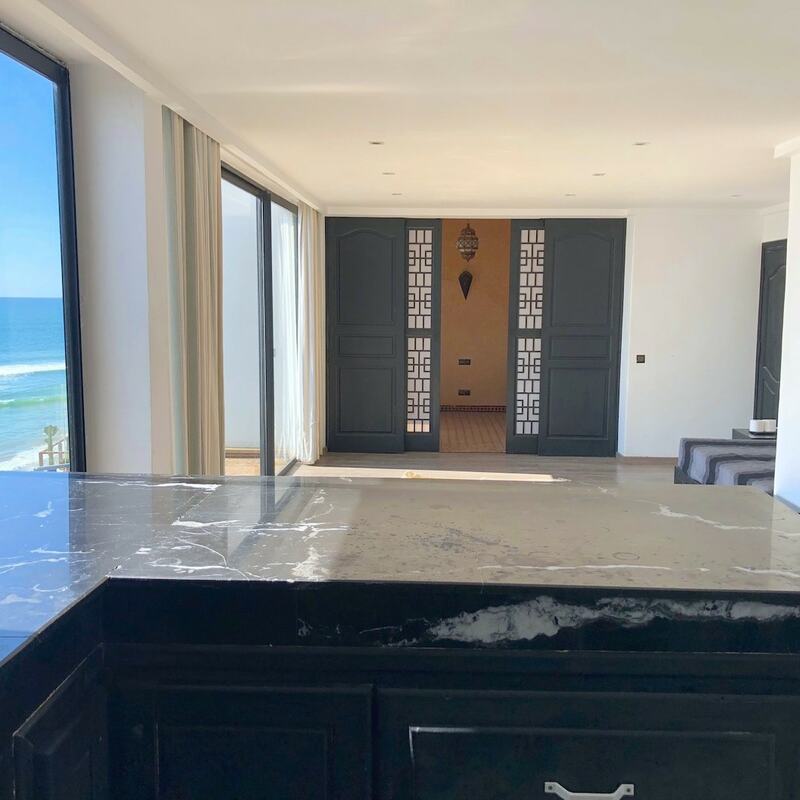 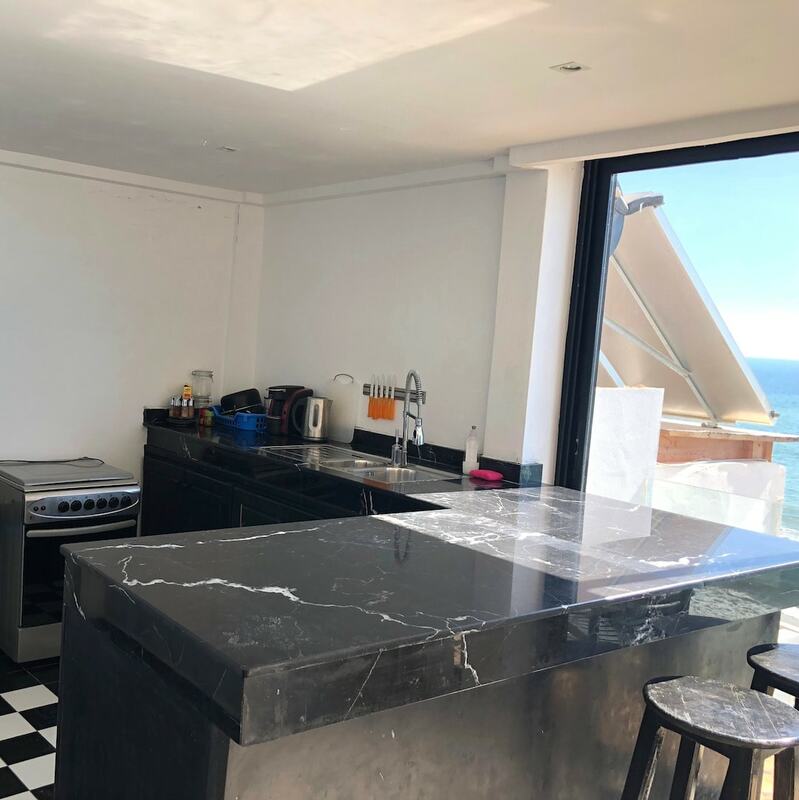 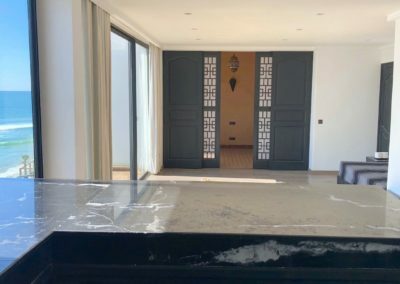 Floor to ceiling views of the ocean coupled with stunning marble counters and a luxury bath to make it one of Taghazouts most luxury apartments. 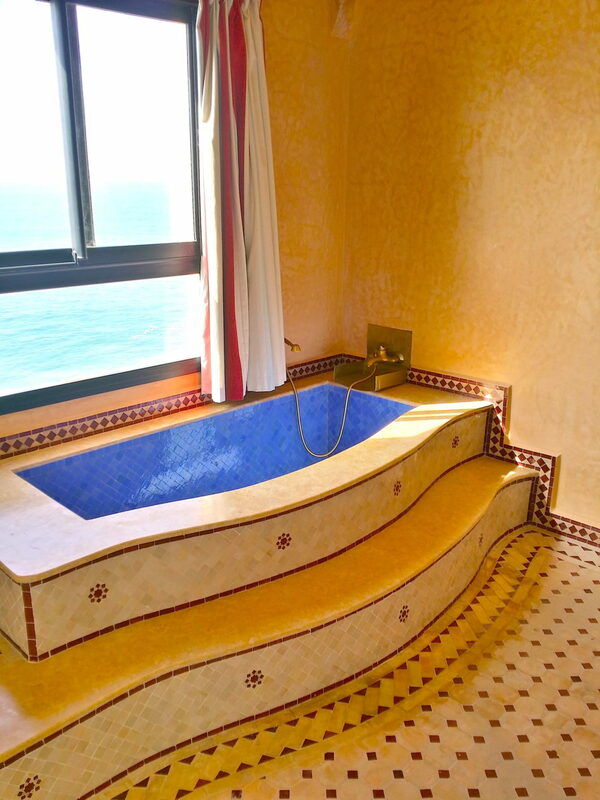 Overlooking Panoramas point and the Taghazout beach, On The Rocks has one of the most enviable positions in Taghazout. 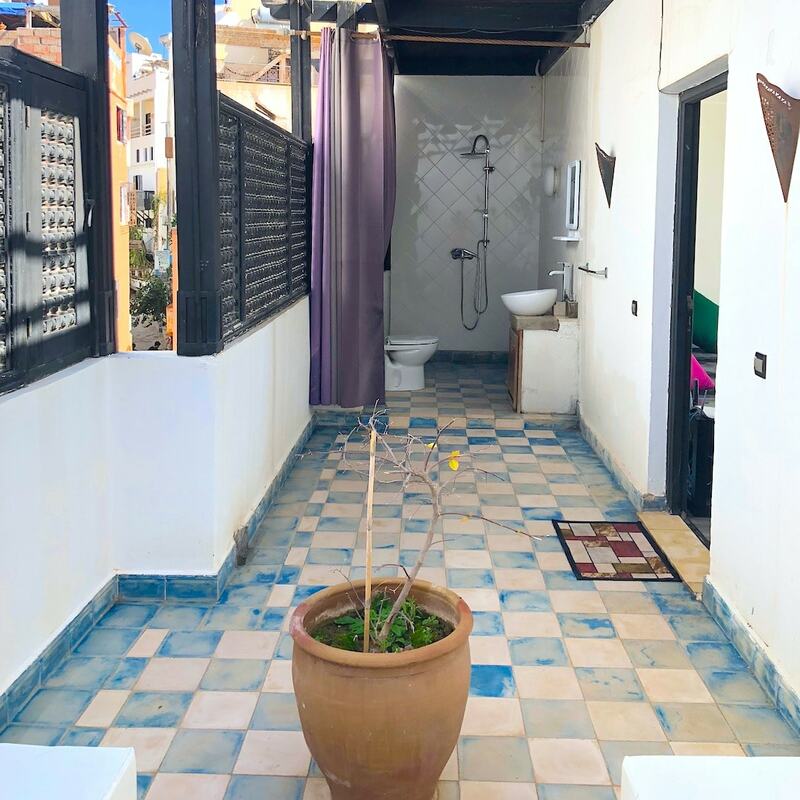 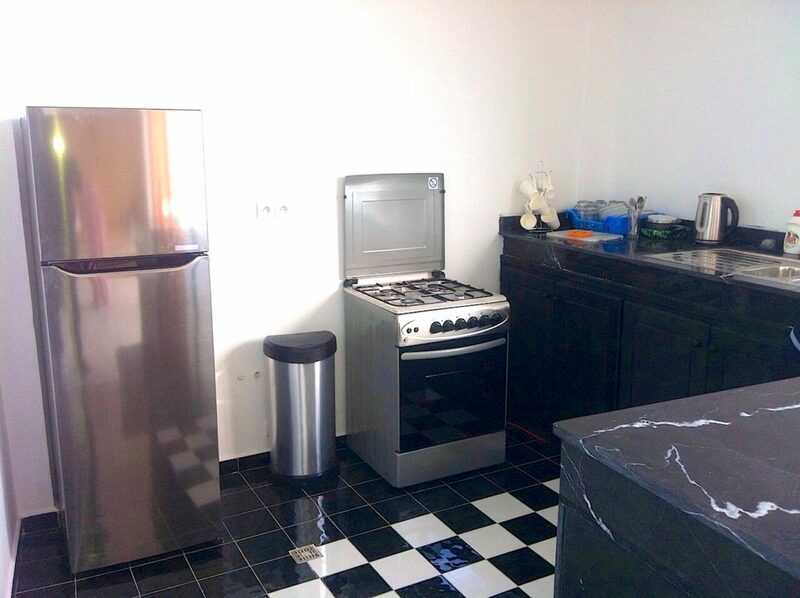 The apartment is fully equipped with a modern kitchen and western bathroom, and has superb terrace space for entertaining. 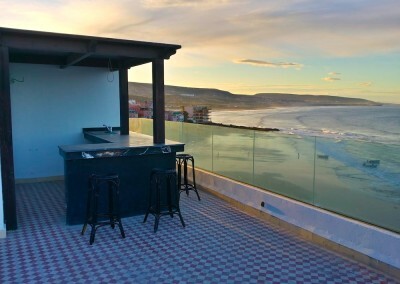 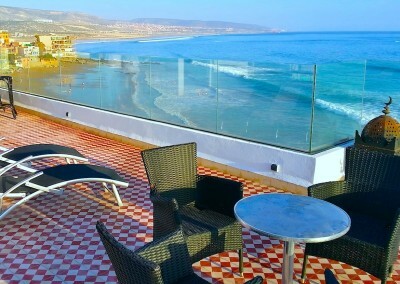 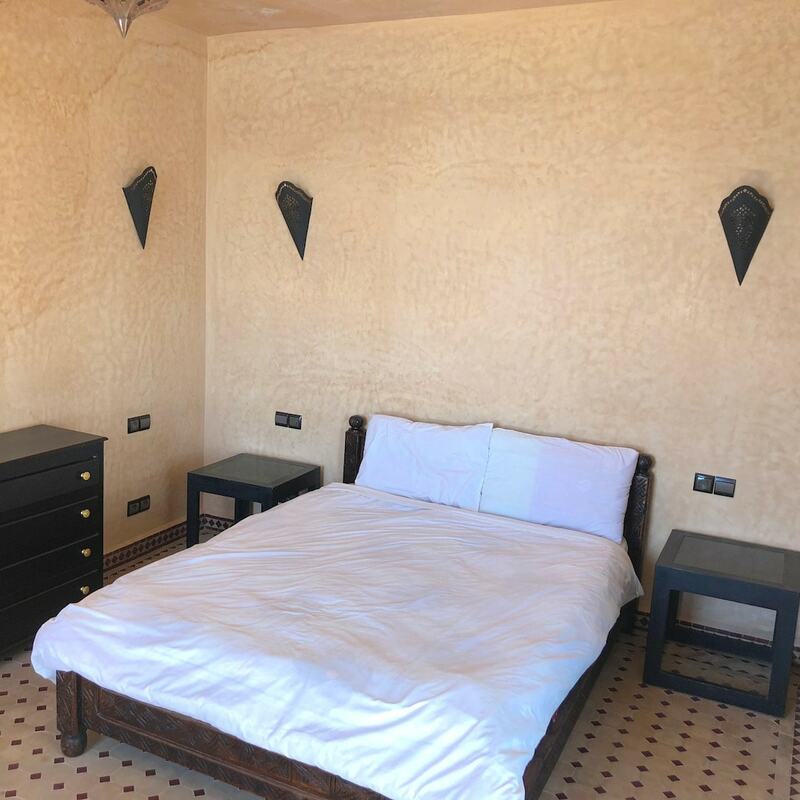 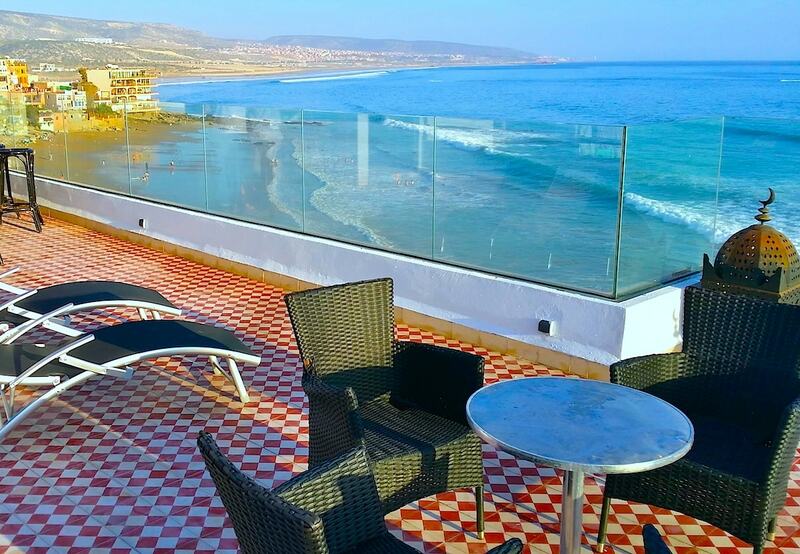 The top floor of the Surf Berbere camp is the Cloud 9 apartment. 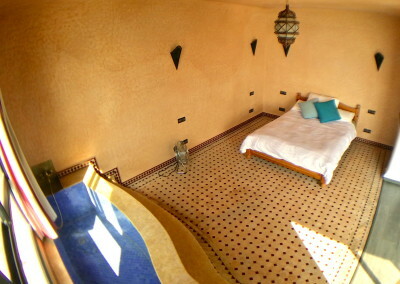 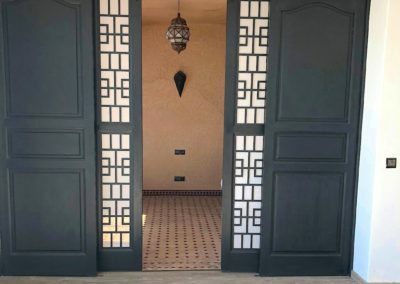 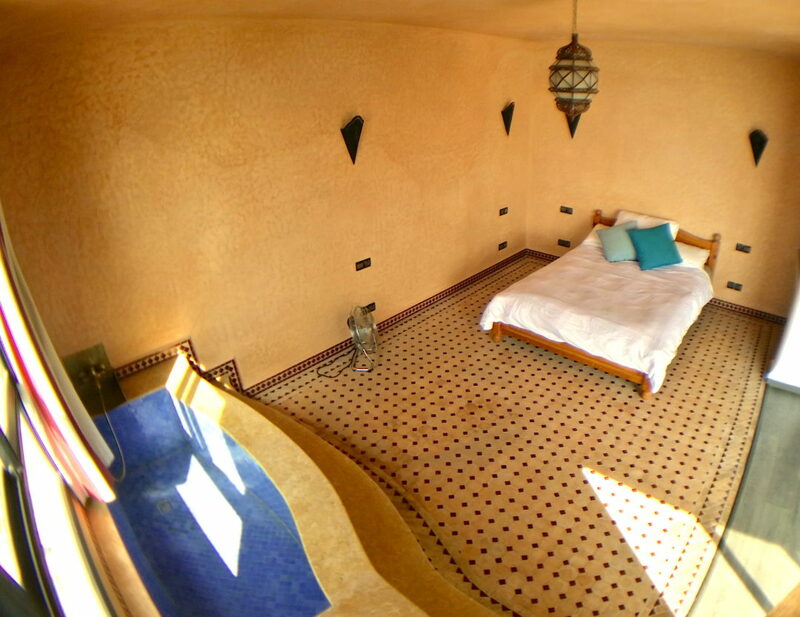 The location couldn't be any better and you have direct access up to one of the most beautiful terraces in Morocco. 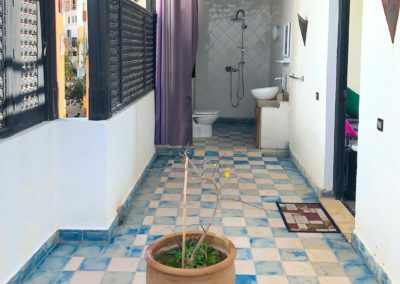 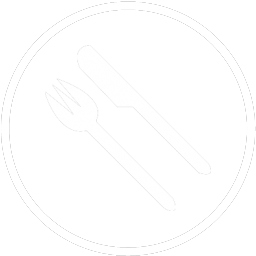 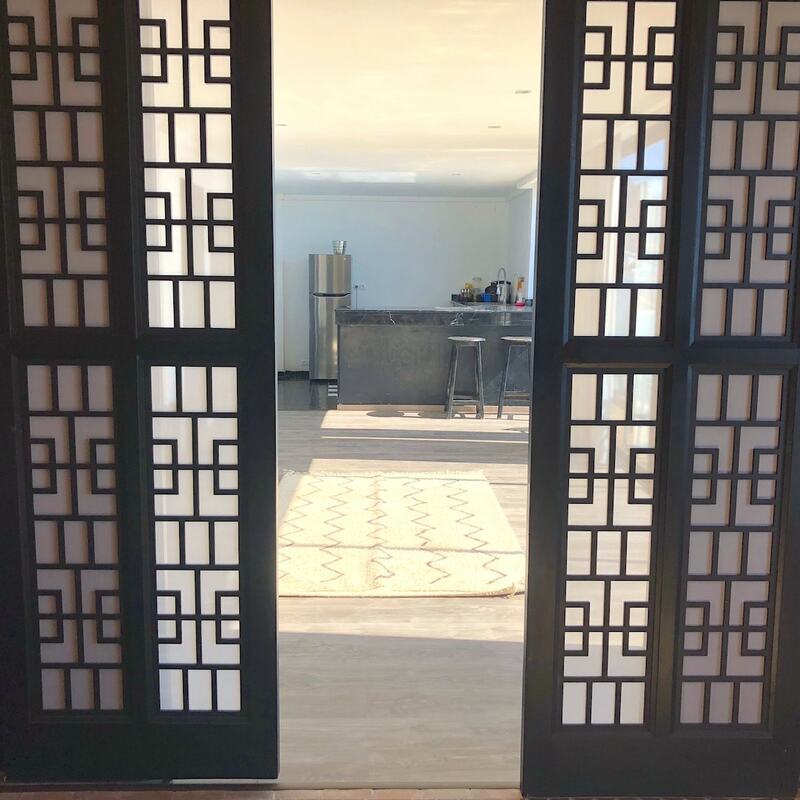 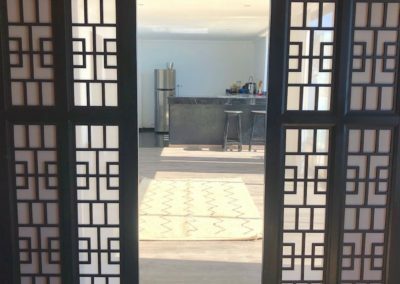 The apartment has a fully equipped kitchen and Western bathroom and is ideal for anyone wanting to be part of the camp, but still wanting their own privacy.